The main frame use high-quality cold-rolled steel welding molding. 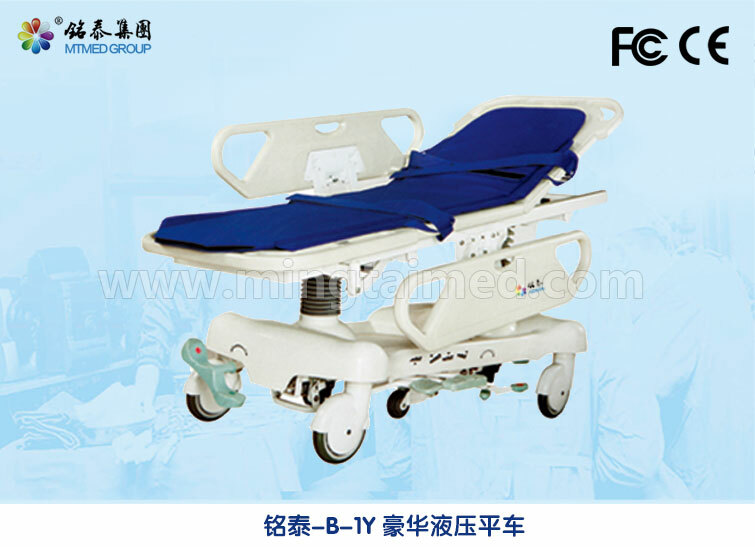 The stretcher surface use ABS plastic, one blow molding. Height adjustment use imported dual hydraulic lifting system. Height adjustment, forward/backward tilt can be adjusted according to medical staff's needs. There is central control brake pedal on the feet part. Looking for ideal Split Structure Stretcher Manufacturer & supplier ? We have a wide selection at great prices to help you get creative. All the Steel Welding Molding Stretcher are quality guaranteed. We are China Origin Factory of Central Control Brake Stretcher. If you have any question, please feel free to contact us.